FIME Group’s RPK handguards for FM-AK shotguns are the strongest on the market! Proudly made in the USA. These handguards were constructed out of glass reinforced polymer; the same material found on Military RPKs handguards. We use a stainless steel heat shield to reflect heat away from the user hands and to be more corrosion resistant. 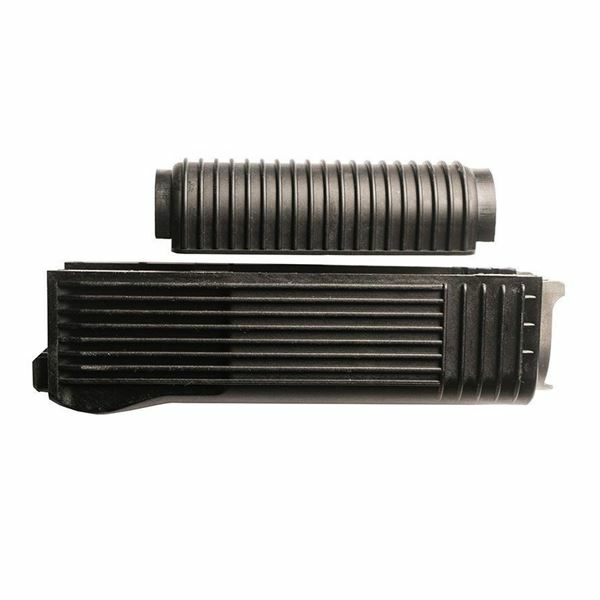 The ridges are incorporated for multiple reason; aesthetics, allows for a better grip, and the ridges increase the surface area of the handguard allowing for better cooling during sustained fire. The lower handguard has an inlayed metal locking ring adds increased durability and prevents the glass reinforced polymer from touching the barrel.